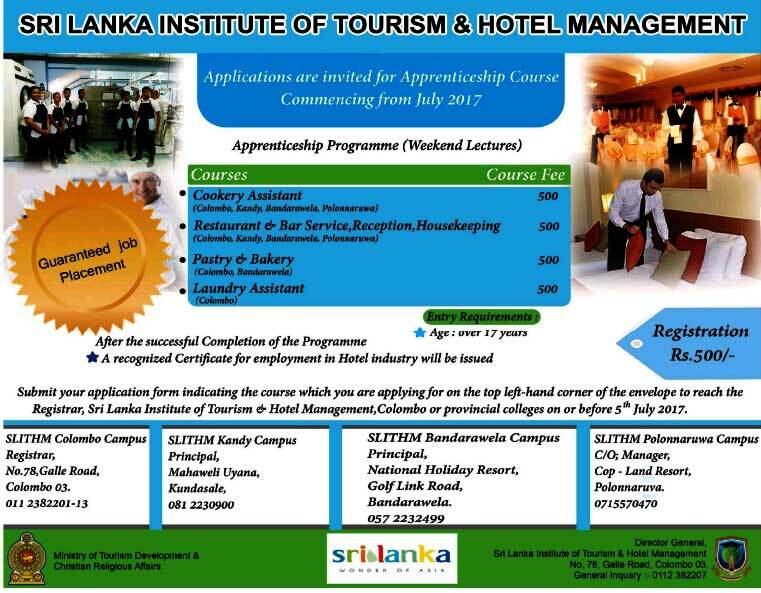 Update 2017 – The Sri Lanka Institute of Tourism & Hotel Management (SLITHM), former Hotel School, is the only Government approved Institute, established in 1964 to train youth in the field of Hospitality and Travel Industry, and is managed by Sri Lanka Tourism under the Ministry of Economic Development. Provincial schools have been set up in Anuradhapura, Bandarawela, Pallekelle, Koggala, and Ratnapura. Certificate and Diploma courses are offered by Sri Lanka Institute of Travel and Tourism Management (former Hotel School). These full-time and part-time programs provide the skills and knowledge for students to be competent in a broad range of managerial skills in tourism operations. Diploma courses provide knowledge and skills in travel and tourism marketing and product planning and development preparing them to meet the challenges of the ever changing tourism industry. 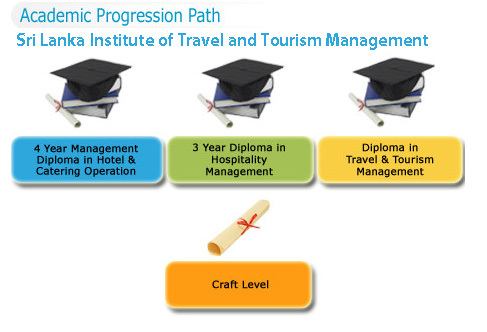 These qualifications allow for multi-skilling related to tourism and the travel industry. Courses are conducted in following levels:– After successful completion of the training period SLITHM awards Certificate or Diplomas. Apply for weekend Apprenticeship course commencing from July 2017 – Download details here. Telephone : 94 112 382201 – 13. Please call the institute or visit their website. Dear team,will you able to send me the tourist guide license course details. I want course details .